My new book, Giants: The Global Power Elite, follows in the tradition of C. Wright Mills’ work the Power Elite, which was published in 1956. Like Mills, I am seeking to bring consciousness of power networks affecting our lives and the state of society to the broader public. Mills described how the power elite were those “who decide whatever is decided” of major consequence. Sixty-two years later, power elites have globalized and built institutions for preserving and protecting capital investments everywhere in the world. Central to the idea of a globalized power elite is the concept of a transnational capitalist class theorized in academic literature for some 20 years. 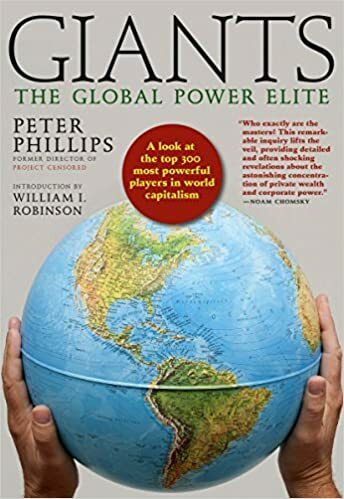 Giants reviews the transition from nation state power elites, as described by Mills, to a transnational power elite centralized on the control of global capital around the world. The global power elite function as a non-governmental network of similarly educated, wealthy people with common interests of managing, and protecting concentrated global wealth and insuring its continued growth. Global power elites influence and use international institutions controlled by governmental authorities like the World Bank, International Monetary Fund (IMF), North Atlantic Treaty Organization (NATO), World Trade Association (WTO), G-7, G-20, and others. These world governmental institutions receive instructions, and recommendations for policy actions from networks of non-governmental global power elite organizations and associations. The global 1% comprise over 36 million millionaires, and 2,400 billionaires who employ their excess capital with investment management firms like BlackRock and J.P Morgan Chase. The top 17 of these trillion-dollar investment management firms—which I call the Giants— controlled $41.1 trillion dollars in 2017. These firms are all directly invested in each other and managed by only 199 people who are the decision makers on how and where global capital will be invested. Their biggest problem is they have more capital than there are safe investment opportunities, which leads to risky speculative investments, increased war spending, and the privatization of the public commons. My research effort was to identify the most important networks of the global power elite and the individuals therein. I name and provide biographies for over 300 people, who are the core members of power networks that manage, facilitate, and protect global capital. 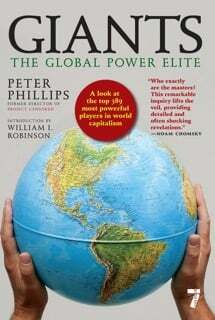 The global power elites are the activist core of the transnational capitalist class—1% of the world’s wealthy people. They serve the uniting function of providing ideological justifications for their shared interests through the corporate media and they establish the parameters of needed actions for implementation by transnational governmental organizations and capitalist nation-states. The global power elites, who direct the world’s corporate giants, overlap with the leadership of organizations such as the Council of Thirty, the Trilateral Commission, and the Atlantic Council. These privately-funded non-governmental organizations provide direct instruction and policy recommendation to governments, international institutions, the G-7 and their intelligence agencies, and other top capitalist countries. The US/NATO military empire operates in nearly every country of the world to protect global capital and the wealthy 1%. The global power elite are self-aware of their existence as a numerical minority in the vast sea of impoverished humanity. Roughly 80% of the world’s population lives on less than ten dollars a day and half live on less than three dollars a day. This concentration of protected wealth leads to a crisis of humanity, whereby poverty, war, starvation, mass alienation, media propaganda, and environmental devastation are reaching levels that threaten our species’ future. Organizing resistance and challenging the global power elite should be foremost on the agendas of democracy movements everywhere, now and in the near future. Addressing top-down economic controls, monopolistic power, and the specifics of the global power elites’ activities will require challenging mobilizations and social movements worldwide. The act of identifying the global power elite by name may persuade some of them to recognize their own humanity and take corrective action to save the world. Global power elites are probably the only ones capable of correcting this crisis without major civil unrest, war, and chaos. Giants is an effort to bring a consciousness of the importance of systemic change and redistribution of wealth to the 99%, and to global power elites themselves, in the hope that we all can collectively begin the process of saving humanity. In that effort, I highly recommend using the Universal Declaration of Human Rights as a moral base to offer a united thread of consciousness for all seeking human betterment. Humankind deserves nothing less. Peter Phillips is a professor of political sociology at Sonoma State University, where he has taught since 1994. He teaches courses in Political Sociology, Sociology of Power, Sociology of Media, Sociology of Conspiracies and Investigative Sociology. He served as director of Project Censored from 1996 to 2010 and as president of Media Freedom Foundation from 2003 to 2017. Giants: The Global Power Elite is his 18th book from Seven Stories Press—it will be released in August 2018.